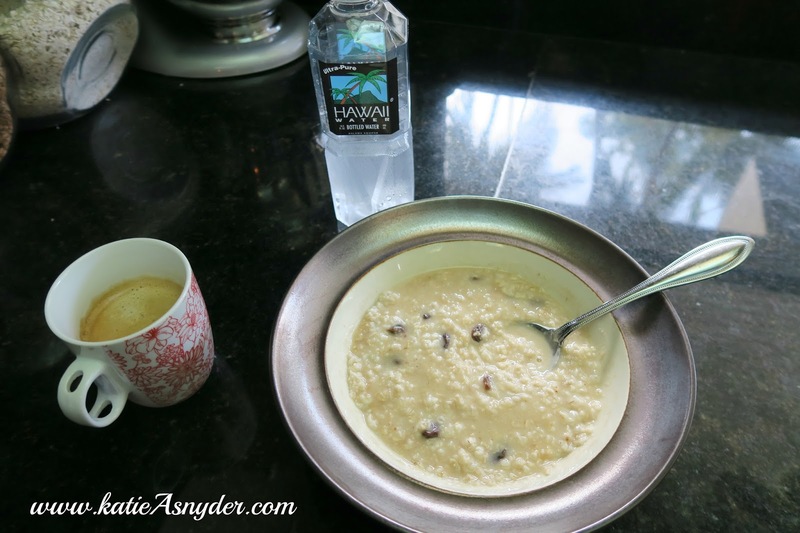 I had Oatmeal with raisins and almond milk. A black Nespresso coffee, and a 500ml bottle of water. After working out a lot of people drink protein shakes, but I was very lucky many years ago to have an amazing trainer/friend who sadly passed away, but she advised me that it’s not always they best to drink those, as they can also bulk you up. 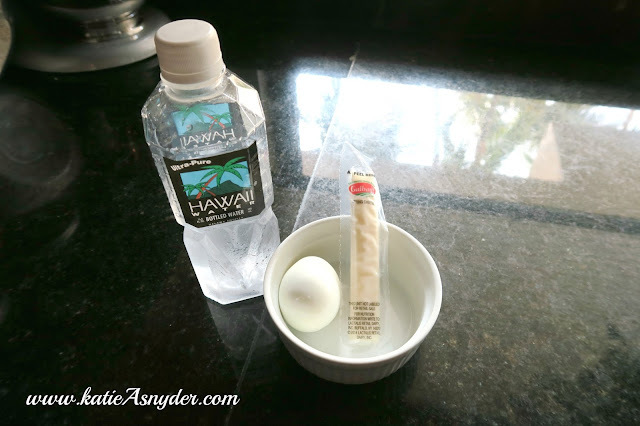 So I am getting protein via a boiled egg and a string cheese. I also had another 500ml bottle of water (3 so far for the day). For lunch I wanted to try (or copy lol) a salad that I had seen on Anna Saccone’s snapchat, so I grilled egg plant and zucchini, and then added them over lettuce, olives, avocado, and topped the whole thing with a little bit of Wishbone Creamy Caesar Dressing. 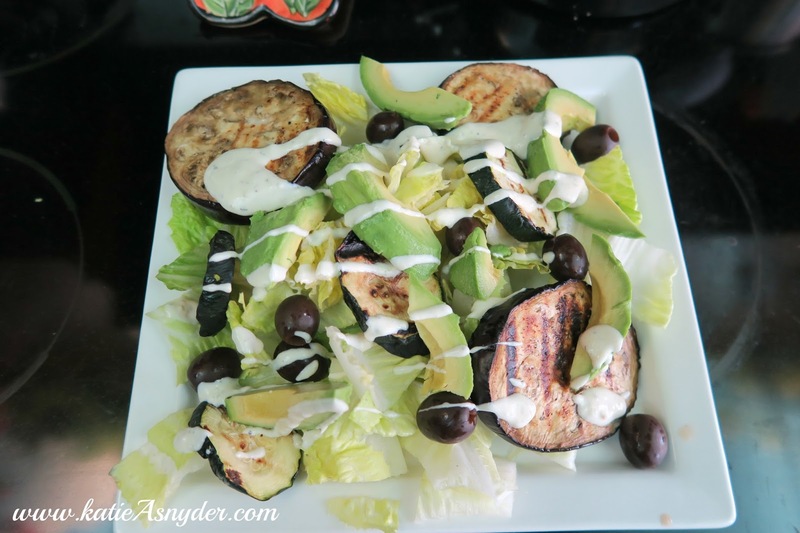 This was really delicious, however I would recommend peeling the egg plant, the skin was so tough I just cut it off. 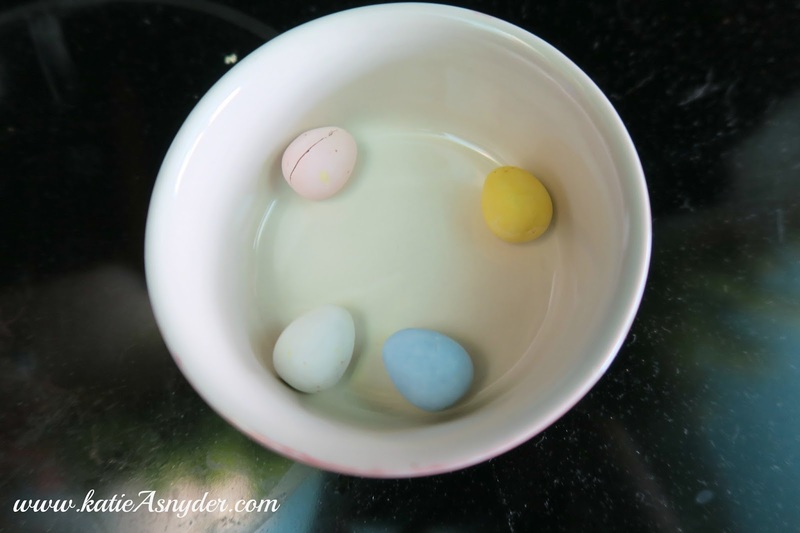 Right after lunch I was REALLY craving chocolate so I pulled out the most amazing treat ever, I had four Cadbury chocolate eggs, these are very tiny, but it was just enough to satisfy that craving! 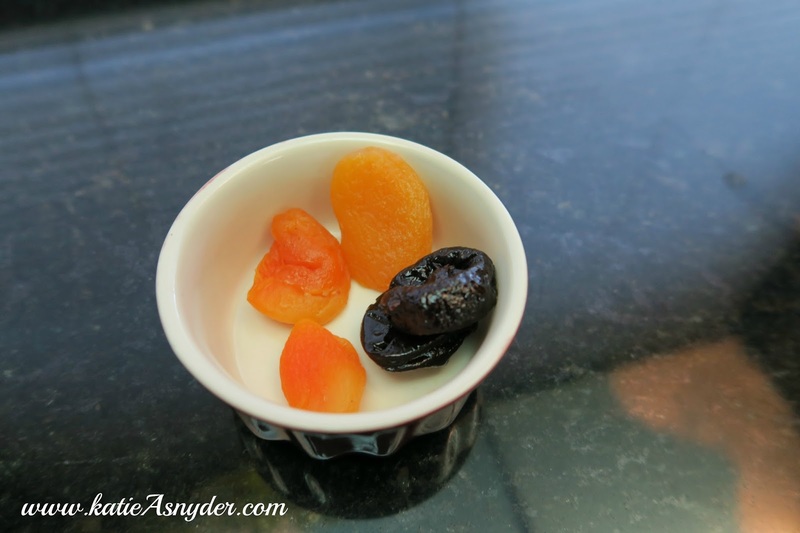 For my afternoon snack I had 3 Dried Fancy Apricots, and 2 Ones Prunes. This is such a nice snack, not only is it sweet and keeps me from indulging it something I shouldn’t, but they also have lots of fiber! For dinner I made breakfast lol, because I usually have oatmeal I don’t get pancakes and eggs, so I went on pintrest and saw two ideas I had to try, a six minute egg on toast with avocado, as well as dipping buttered toast in eggs. 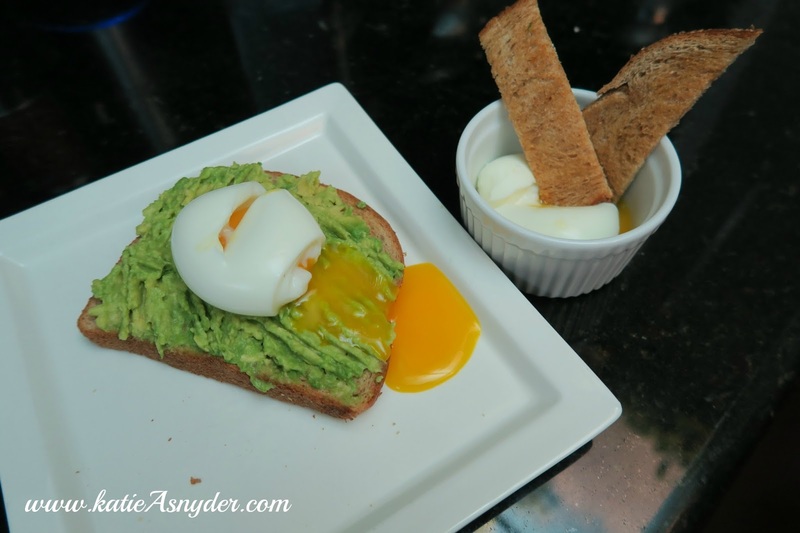 Both were really good but the one with the avocado is slightly healthier. For dessert I was craving something salty (Can it still be called dessert? 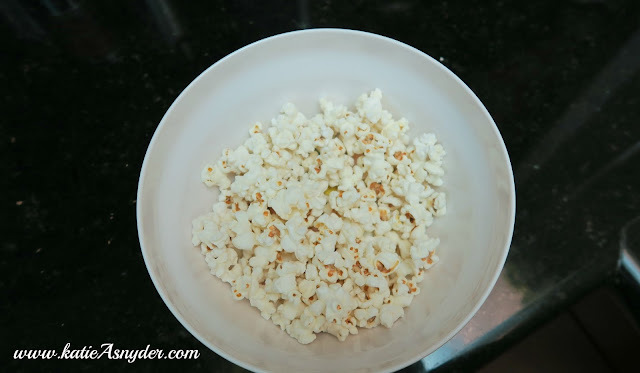 ), so I had a bit of the Boom Chica Pop popcorn, its so good, without being so bad. That is everything I ate today, I will continue this new theme of eating a bit healthier as well as spreading my meals throughout the day, in the hopes that it aides in my weightless journey.